Boba Fett, digitally inserted into A New Hope’s special edition, because isn’t it cool when Boba Fett shows up everywhere all the time? 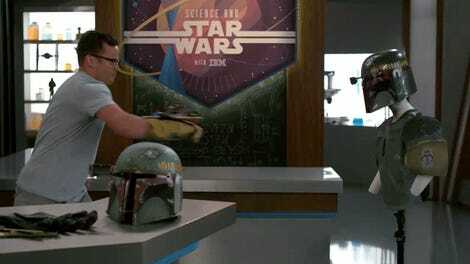 Plans for a Boba Fett film have been in the works for a long time—Lucasfilm almost officially announced one, to be helmed by the Fantastic Four reboot’s Josh Trank, in 2015. But plans have changed, and with the recent reports that Logan director James Mangold has boarded the project, Fett’s back in business. But... should he be? Because here’s the really big problem with Boba Fett, when it comes to building a two-hour movie around him: He’s not a character, per se. He’s an extremely cool design—although other cool Mandalorians are also available—but a character? Absolutely not. 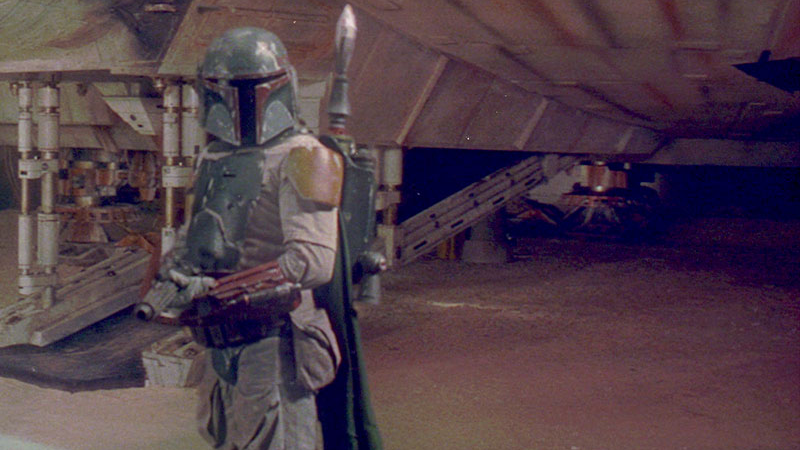 Fett is a well-crafted shell, a blunt narrative tool to be wielded in both Empire Strikes Back and Return of the Jedi before he’s ultimately discarded in the chump-iest of ways, and that’s precisely what Boba Fett as we know him in the films is actually worth. We don’t know who he is, or why he does the things he does. He’s a cool facade for a plot device more than he is a fleshed out character. Yeah, real intimidating, this guy. It’s that nostalgia that is one factor of my wariness with the idea of a Boba Fett standalone movie—because Star Wars can, and should be, so much more than a reminder of the old things we love about it. It should be forging ahead, telling new stories from new perspectives, giving us new characters and new locales and new experiences in this galaxy we all know and love so dearly. The very idea of a Boba Fett movie that explores his hunter past is the opposite of that—and if a movie in a similar vein for Han Solo, a veritable Star Wars icon, can’t light up the box office in a ways Disney might have expected it to (and that’s not to say that Solo has been anywhere near the “flop” some circles have suggested it is), how is a movie about Fett going to offer something new and refreshing for the Star Wars franchise? But there’s a way for Lucasfilm to have its nostalgia cake and eat it too with a Boba Fett movie—a way to provide the warm familiarity that the kickass aesthetic of Boba Fett brings, while doing something new and unexpected with the character. In fact, the current Star Wars canon has already provided the perfect opportunity any Boba Fett movie could take to do that, and it requires learning about a Star Wars character you might not be familiar with named Cobb Vanth. In the current Star Wars canon, unlike in the previous Expanded Universe, as far as we know Boba Fett died in Return of the Jedi... in that “slowly digesting in the stomach of an ancient sand monster for thousands of years” kind of way. But while the man himself is gone, his armor isn’t; side stories in Chuck Wendig’s trilogy of Aftermath novels heavily hint that the (now acid-stained) Mandalorian armor Fett wore was discarded by the Sarlacc and eventually recovered by Jawas. Vanth, a former human slave who freed himself, procured the armor for himself off a criminal, and donned it as the mayor and protector of a small settlement on Tatooine named Freetown. Under the helmet, Vanth was in many ways similar to Fett when it came to being a brutal warrior, but he was also a man of principle and honor, dedicated to defending the livelihood of the citizens of Freetown from criminals and thugs. Boba Fett might be dead, but you wouldn’t know it—because the myth of Boba Fett, the imagery of him, lives on in Vanth, albeit in a slightly more heroic form. Boba Fett is already pretty much just a cool mask. So why not make that the actual point, and make him a mask for someone else to don? I’m not saying that the Boba Fett movie should just star Vanth, but that it should be about Boba Fett’s legend and legacy rather than the bounty hunter himself. Begin with Vanth finding the armor, and then follow it as it passes from character to character, as they take the identity of Boba Fett themselves, for their own purposes. Embrace the fact that underneath the iconic look of Boba Fett, there could be anyone: man, woman, or alien. They could be young, old, gay, straight, bi, a person of color (perhaps one of the prequels better decisions was casting Māori actor Temuera Morrison as clone-Boba’s dad), whatever. They could be the scum of the earth. They could be a hero. But with the helmet on, they’re Boba Fett. They’d all be contributing to the mythos and the hearsay of this legendary figure—a figure who the galaxy at large believes is one impossible individual, cheating death and doing so many impossible things, but is instead actually a shared identity. Because, after all, in the context of the original films, who even is Boba Fett in the first place? All we know is that he’s a bounty hunter and he once picked up a helmet and his dad’s head fell out of it. Again, that’s not a character. But effectively turning Fett from a person to a persona could put the character under the armor on a wildly unexpected path—a path that, as a bonus, would take the Star Wars Story films out of the very comfortable space they’ve so far occupied. 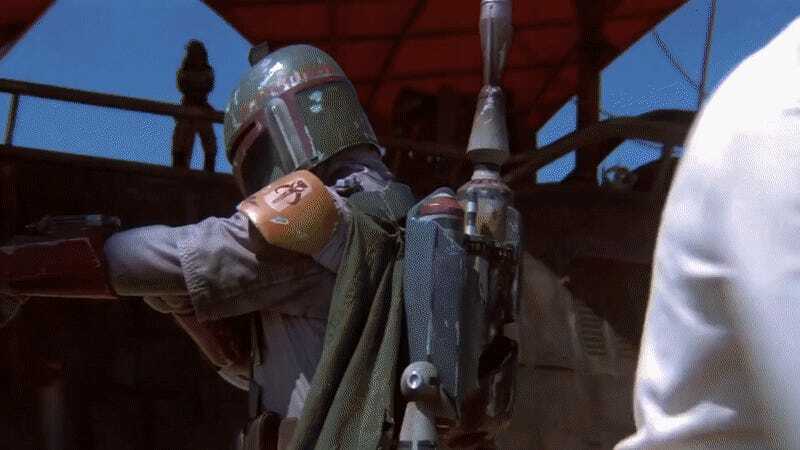 This way, the Boba Fett movie would actually offer something fresh and exciting, critically engaging with the past while proving something new—the thing Star Wars needs to do if it wants fans to keep buying tickets to the movies it churns out every year. Boba Fett is dead. Long live Boba Fett’s mask. Boba Fett? Boba Fett, Where! ?